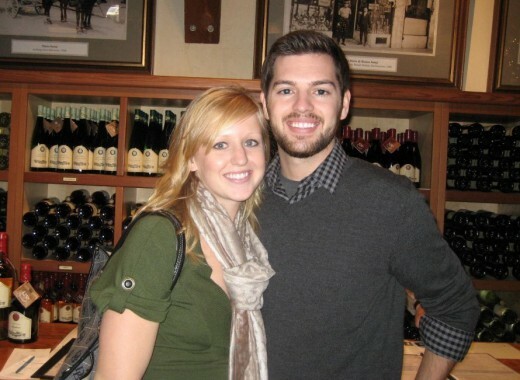 I’m traveling back to December 2010 when my husband (then boyfriend, soon to be fiancé) and I first visited Napa Valley. We both finished school in May of 2010 and moved to the Minneapolis area that summer. My husband started his software engineering job in July and after months of searching, I accepted my first job in October. This long weekend getaway was our first trip together since we left college and entered the workforce, so as you may have guessed, we were pretty excited about it. When we booked this trip, I had no idea what to expect. 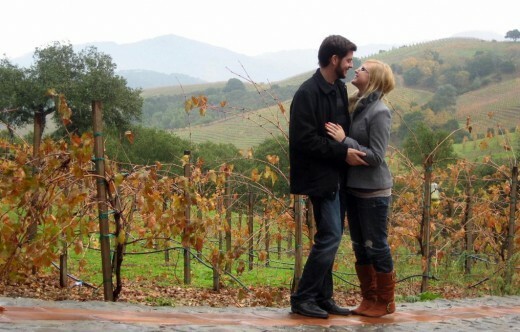 What I quickly discovered is that visiting Napa Valley is an incredible experience, especially when it involves a romantic proposal at a beautiful, remote winery in the mountains. But I’m getting ahead of myself. We had a full day of wine tasting planned for day one of our trip, so I want to first share our experiences at each winery we visited. We booked a guided tour for the day and we shuttled around to six different places, including a winery that served lunch. 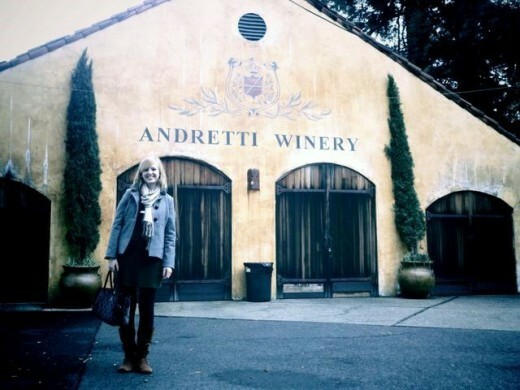 Our first stop of the day was at Andretti Winery, co-founded by racecar driver Mario Andretti. 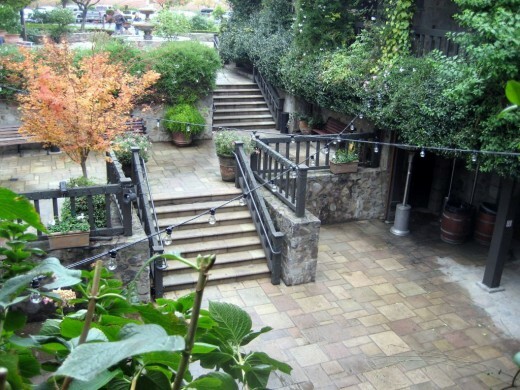 It’s located just North of downtown Napa and as you can see, has an authentic Italian appearance and feel. The tasting room was quaint and overlooked vast vineyards. We sampled a variety of wines including their Cabernet Sauvignon, Pinot Noir, Merlot, Chardonnay, and Sauvignon Blanc. Our group had the tasting room to ourselves since our tour guide booked an appointment. This doesn’t always happen, but when it does, enjoy it. It’s nice to get a little extra attention from the staff. After tasting Andretti wines, we walked around the property and snapped a few pictures. This is by far one of the prettiest wineries I’ve seen. 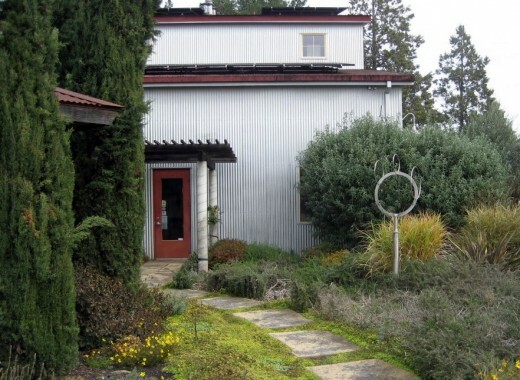 We then stopped at Hagafen Cellars, which is also located just North of downtown Napa, very close to the Oak Knoll District. 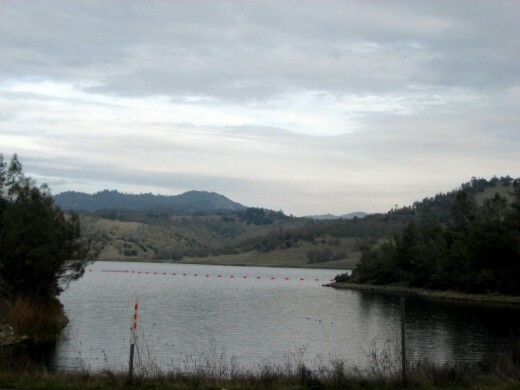 Hagafen is owned and operated by Ernie and Irit Weir. I really enjoyed this place and would love to go back. The tasting room wasn’t very big, but it allowed for a more personalized, one-on-one experience with the staff and experts on the wine. 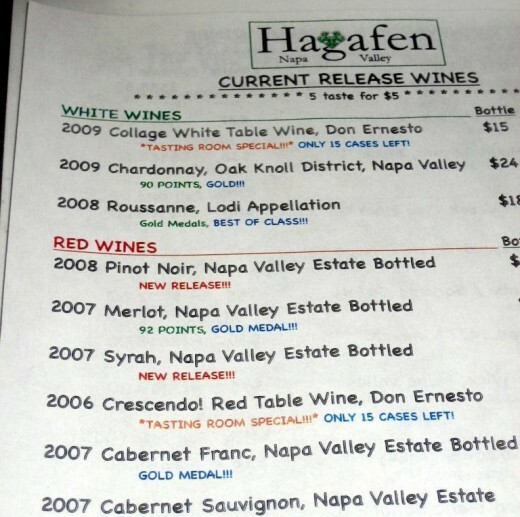 One interesting fact we learned is Hagafen wine has been served at White House dinners, including dinners hosted by Ronald Reagan, George Bush and Barack Obama. That’s another reason why you know it must be good! We sampled a variety of wines as you can see on the tasting menu. My favorites were the Crescendo and Cabernet Sauvignon. The red blend had a great flavor on its own, but was a wine that I know would pair well with many different foods. The Cabernet was full-bodied and robust, which is typically what I enjoy. Nothing beats a great Napa Cab! Our third stop of the tour was at Raymond Vineyards, located in St. Helena. 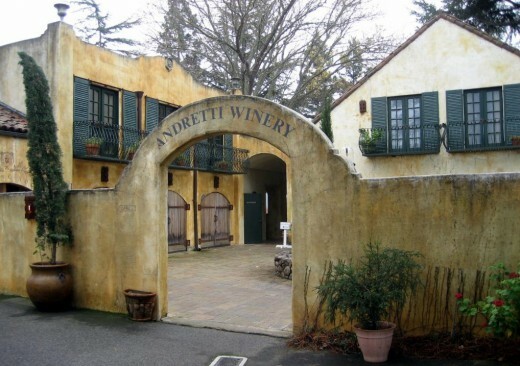 This eclectic winery is unique because it offers several different experiences for wine tasting. 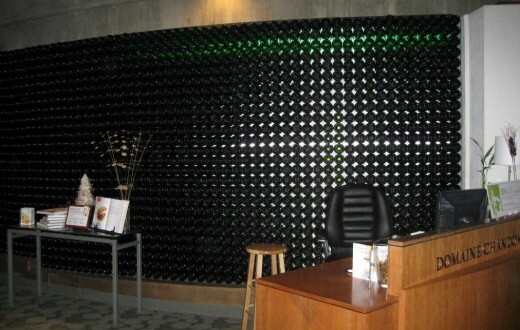 Most wineries have a standard tasting room that somewhat resembles a bar. A staff member resides behind the bar, sets out the wines available to try, and then discusses them with you as you taste. 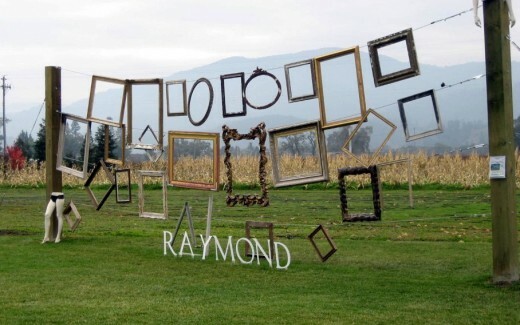 Raymond, however, takes this to another level. 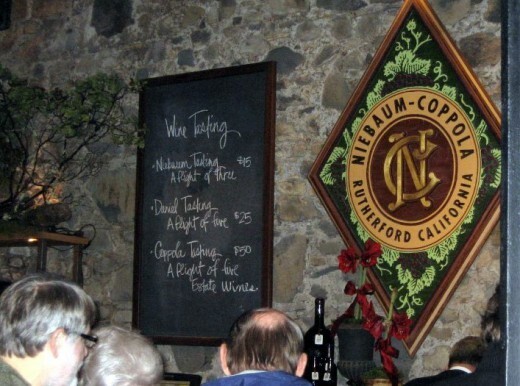 In addition to the standard tasting room, you can visit and taste wine in their Red room, Crystal Cellar, Library Room and Rutherford Room, all offering a different and unique experience. Furthermore, you have the option to taste wine directly from the barrel in the barrel cellar and become a “winemaker for a day” in the blending room. Here is a list of the wines we tried when visiting the winery. We had the opportunity to try several different Cabernet produced in the same year but made with grapes from different vineyards throughout the region. Tastings like these really exemplify how terroir, environment and climate can affect the wine and cause much diversification. 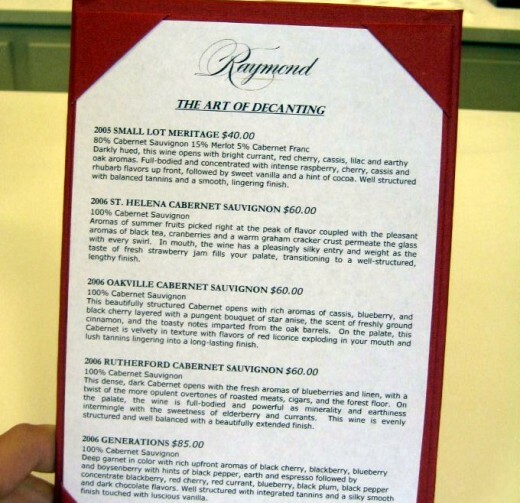 My husband and I pick up a bottle of Raymond Cabernet every once in a while when we are at the wine shop; it runs about $16-$18/bottle and is always very good! 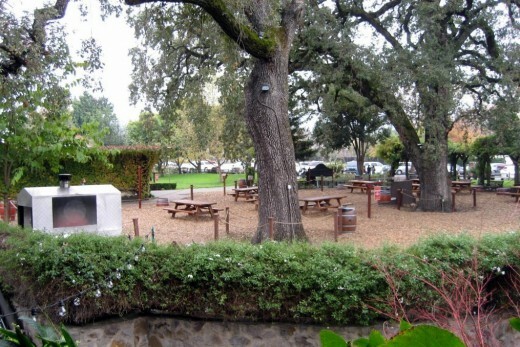 We stopped at V. Sattui Winery next for more wine tasting and lunch. 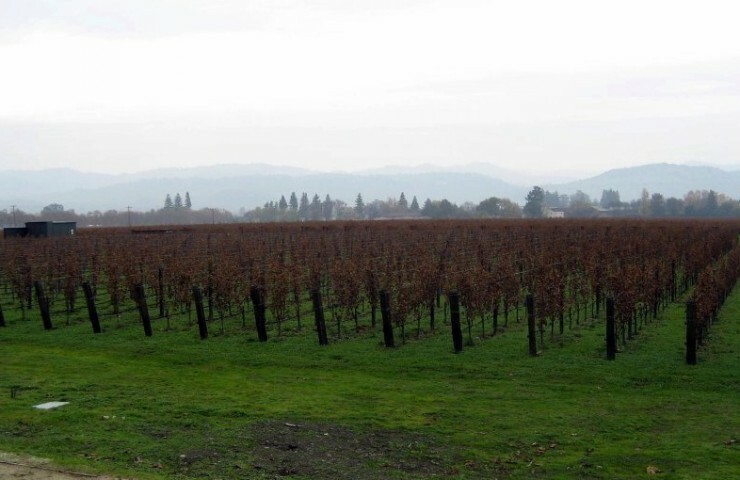 It’s located right off of I-29 in St. Helena and was more commercialized and busier than the previous wineries we visited. We definitely didn’t get much one-on-one time with the staff serving the wine and honestly, I felt a little rushed. The one unique part of our tasting was getting the opportunity to try a 12-year-old Port. I’m not a big fan of Port, but it was still fun to try it! It’s not common for a winery to serve food, but this one has a deli on site that was perfect for lunch. V. Sattui has a beautiful property equipped with plenty of benches and picnic tables; after our tasting, we ordered a sandwich from the deli and enjoyed our lunch outside. I’m not sure if I’d go back to this place, but the deli and lunch was a nice perk! After lunch, our tour guide took us to Inglenook, which at the time we visited, was called Rubicon Estate Winery. 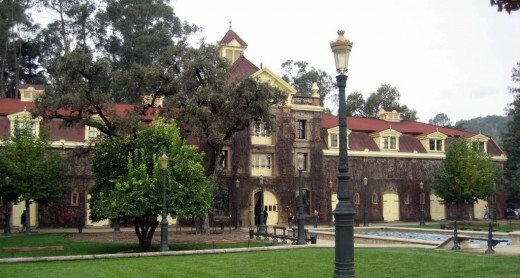 Inglenook is owned by Francis Ford Coppola and the winery itself felt like a museum. We toured the building before ending up in the tasting room and got to see a lot of interesting things, including old cars, antiques, and art. My husband and I split the tasting here and enjoyed trying three of their wines. Splitting a tasting is a great way to save on tasting fees and also to avoid drinking too much wine at one place. If you’re visiting 4+ wineries in a day, splitting a tasting or two is something I’d recommend doing. 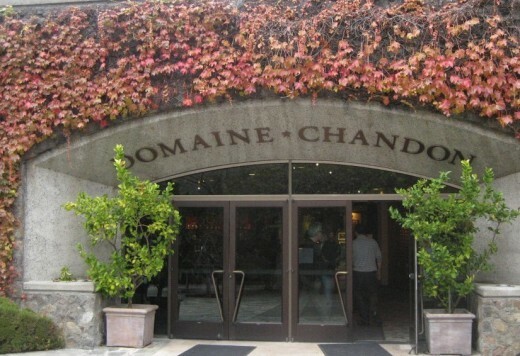 Our last stop of the tour was at Domaine Chandon to taste sparkling wine. One interesting thing we learned was that sparkling wine is technically only called champagne if it comes from the region of Champagne, France. So anytime you are in Napa or Sonoma and tasting sparkling wine, refer to it as sparkling wine. I’m not a huge fan of sparkling wine or champagne, but I like getting it for special occasions so it was fun to try a few different kinds and experience how different they can be. I discovered I don’t love really sweet sparkling wine, nor the extra dry. The rosé was quite good. After a long day of winery touring and wine tasting, we stopped for dinner at Fume Bistro. Fume is located right in Napa and is a classic Italian restaurant. The food was great (I had a delicious risotto dish) and I would definitely go back. All I knew about our plans for the next day was we had a winery tour set up at Noon and we needed to leave early because it would take some time to get there. I was intrigued, but didn’t ask too many questions. We drove along Silverado Trail and the beautiful Sage Canyon Road, passing Lake Hennessey on our way. Unfortunately, it was a little gloomy and rainy, but the scenery was still gorgeous. 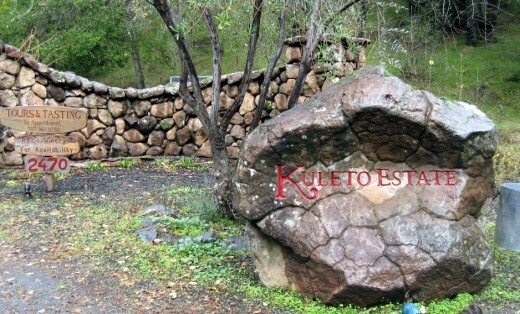 It took us about an hour to arrive at Kuleto Estate. but what I didn’t realize was we still had to travel up a windy, one-way trail to get to the winery. I’m not a fan of heights, so to say I was freaked out is an understatement; my hands were sweating and I barely enjoyed the views on the way up. After about 10 minutes, we finally arrived at the top and were greeted with the most breathtaking views of hills, vineyards, and a gorgeous winery. It was definitely worth the drive. We met our guide inside and he greeted us with a glass of chilled Rosato. We began our private tour with a long walk through the estate, admiring the views of the vineyards and the property itself. We learned that Kuleto Estate was founded by restaurant designer Pat Kuleto and it was clear he incorporated his love of design into this property. Located on 800 acres of land (91 of which are planted with grapes) his 6,000 square foot home is just a portion of his work. He has a man-made lake stocked with fish, guest homes, and patios equipped with numerous pizza ovens. Furthermore, he lives off the land, raising livestock and growing his own produce and olives on the property. That is all, of course, in addition to the winery facility and tasting rooms. After the outdoor property tour, our guide led us indoors to the fermenting room to see the big tanks that held the wine. He then took us to a private, cozy tasting rooms upstairs. He set out a tray of cheese and crackers and left to grab the wine for the tasting. Little did I know, this was all part of the plan. Before I knew it, Evan was down on one knee proposing! I, of course, said Yes! It was so incredibly memorable and special; he sure planned it out perfectly! After about 15 minutes, our tour guide came back and brought us celebratory glasses of champagne. We then tasted several of their wines, but to be honest, I don’t even remember what we tried! We wandered around the property for a while after our tasting, taking pictures and celebrating together. This is by far one of the most memorable days of my life and Kuleto Estate will always hold a special place in my heart. Elated and beyond happy, we left Kuleto and ventured back down the mountain, back into Napa. We knew we needed to make some phone calls to our family to share the news, but we decided to first stop by Robert Mondavi Winery to spend a little extra time savoring the moment, just the two of us. 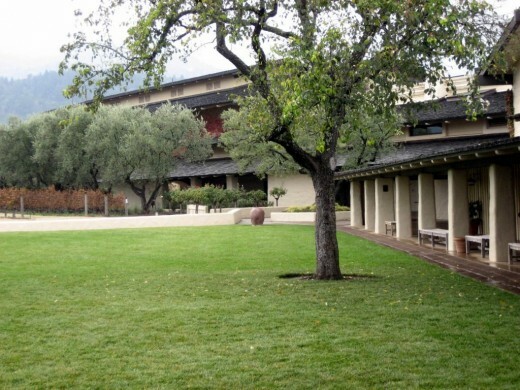 Robert Mondavi Winery was founded in 1966 by Robert Mondavi and his sons Michael and Tim. Mondavi had the vision to produce high quality wines in Napa Valley that rivaled the finest wines in Europe. This vision and approach to wine-making pioneered the prestige and quality of wines produced in the Napa region. 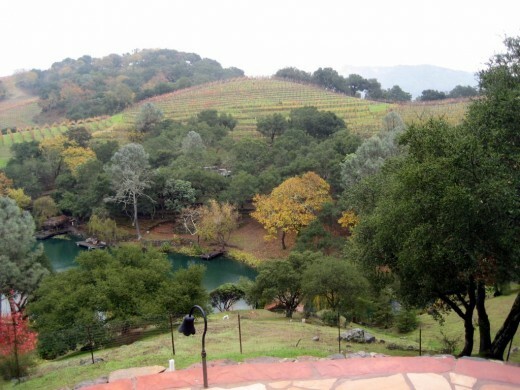 The winery is located on and sources a majority of its grapes from the To Kalon Vineyard in Oakville. 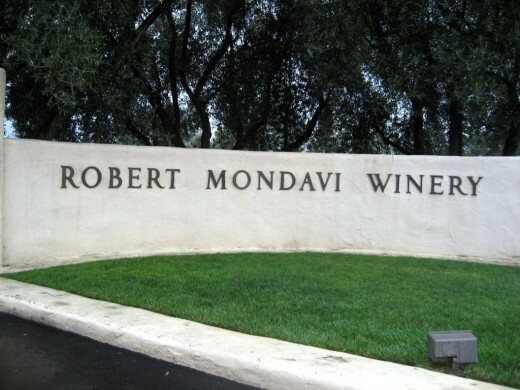 Robert Mondavi also sources grapes from Stag’s Leap and Carneros vineyards, and it most well-known for producing Sauvignon Blanc and Cabernet Sauvignon. We ventured into the tasting room and ordered one flight of wine to share. We snuggled up on a big, cozy leather chair right next to a warm fireplace and tasted some great wine. Something so simple turned into such a perfect memory; to this day, I look back at our time at Mondavi and smile. I’m so thankful we had the opportunity to stop there and celebrate our recent engagement, just the two of us. We stayed there for almost 2 hours, before retreating to our car and calling home. Everyone was very excited and I think a little relieved to no longer have to keep a secret! 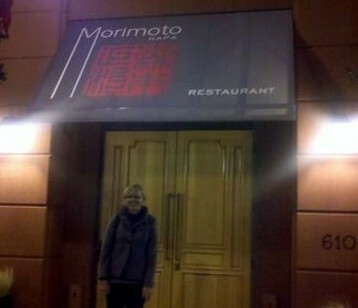 We made dinner reservations that night at Morimoto Restaurant, a Japanese place owned by Iron Chef Masaharu Morimoto. We enjoyed incredible sushi, wine, and a fancy celebratory dessert. As you can see in the picture, I had the most ridiculous grin on my face the entire night. I couldn’t stop smiling – and looking at my ring! The last day of our trip was spent at Lavender Hill Spa in Calistoga for mud baths. A very unique experience, indeed, but something I’m glad I tried! 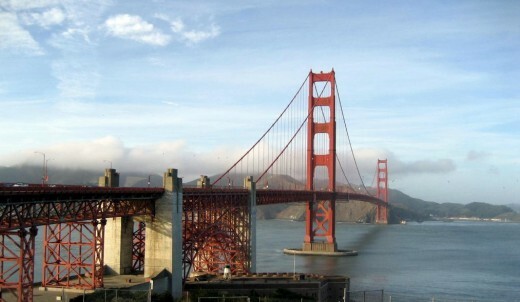 On our drive back to San Francisco and the airport, we stopped near the Golden Gate Bridge and took some pictures before driving across for the first time. This trip was so much fun and so memorable. I fell in love with Napa, tasted some fantastic wines and came back engaged! Since then, I’ve visited two more times and I’m already looking forward to planning another trip back to wine country!